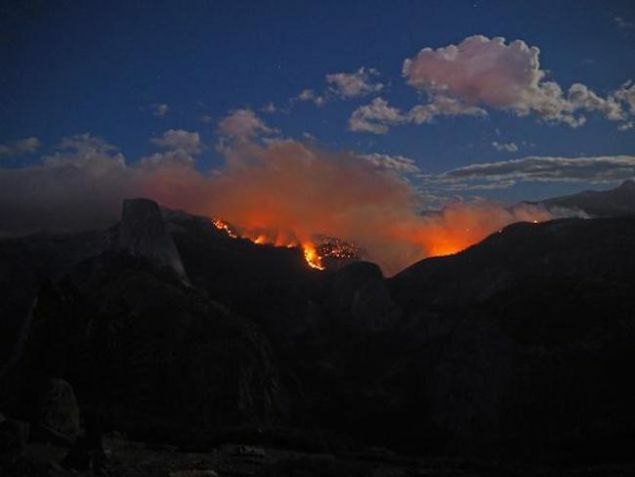 Authorities say that a wildfire in Yosemite National Park that prompted the helicopter evacuation of dozens of people from the top of Half Dome is finally slowing down thanks to some cooler, more humid weather. 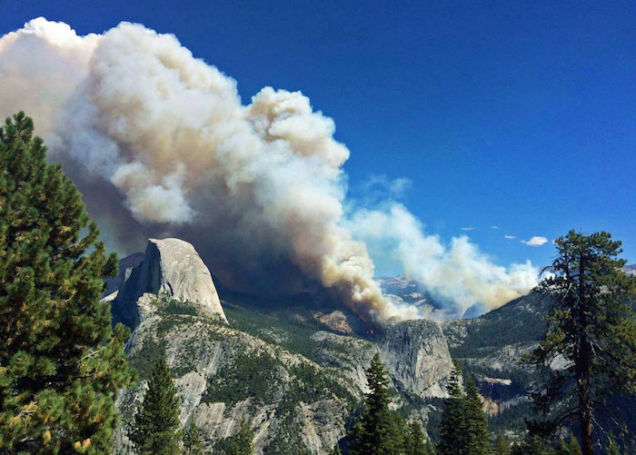 On Sunday, the fast-spreading Meadow Fire prompted officials to evacuate over 80 climbers and hikers from the top of the famed 5,000-nearly 9,000-foot Half Dome via helicopter. According to NBC, park employees insisted that hikers in the area of Half Dome make the trek up to the summit of Half Dome (a vertigo-inducing climb up a cable stairway) to evacuate because the top was the only place that a helicopter could safely land to carry people to safety. 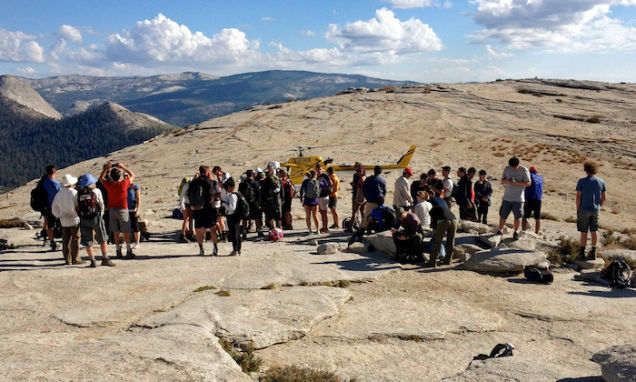 "He said there was no way to land the helicopter except on top of Half Dome," 26-year-old Rachel Kirk told NBC. "That was the moment everyone felt scared." "One woman freaked out," she said. "They gave her a makeshift harness and helped her out on the cable." Another 100 hikers and backpackers were also evacuated from the adjacent Little Yosemite Valley area on Sunday afternoon. Officials say that the Meadow Fire was likely started from embers left by a previous lightning-sparked fire which started weeks ago. It has burned over 4,400 acres in total so far, but officials told the AP that they hope the cooler and more humid conditions will allow them to bring the fire under control.